Answer any Five part questions. (i) Write any two definitions of Commercial Geography. (ii). “Tea cannot be cultivated in plain areas”. Comment. ANSWER: Climate required for tea plantation is tropical and sub-tropical climate. The soil required should be well drained soil which should be rich in organic matter as well as humus. The tender leaves of tree grow well in regular showers which should be distributed evenly all year round. iii. What is HDI? Write the range of it. iv. If the birth rate of a country is 3% and its death rate is 1%, calculate the doubling time for that country. v. What is a fertilizer? List the functions of three major fertilizer elements. ANSWER: Chemical fertilizers promote plant growth and are produced by a chemical process. Chemical fertilizers are less bulky than natural fertilizers such as manure or compost. There are many different types of chemical fertilizers and they come in powder, granular, liquid and gas forms. Sodium nitrates contain 16 percent nitrogen and also are known as Chilates or Chilean nitrate. They are useful in soil that is acidic. Ammonium sulphate comes in a white crystal form, similar to salt. It contains about 20 percent ammoniacal nitrogen and has an acidic effect on the soil. Ammonium nitrate comes in a form similar to ammonium sulphate but it contains about 34 percent nitrogen. It acts quickly on the soil but can’t be stored for very long. vi. “South East Asia is famous for rice cultivation”. Comment. ANSWER: More than 90% of the world’s rice is produced by Asian farmers, Vietnam and Thailand being amongst the highest exporters of rice in the world. Just looking around us we can see how the growth of rice has shaped the landscape in many areas. Cultivated, neat rice terraces clinging to steep hillsides, shining a dazzling bright green are striking images of South East Asia that can be seen in Sapa, Vietnam, Bali, Indonesia among other places. One of the most famous rice plantations in Asia can be found in Luzon in the Philippines, with the Banaue and Ifuago Rice Terraces claiming status as a UNESCO World Heritage Site. vii. What is Truck farming? ANSWER: Truck farming, horticultural practice of growing one or more vegetable crops on a large scale for shipment to distant markets. It is usually less intensive and diversified than market gardening At first this type of farming depended entirely on local or regional markets. As the use of railroads and large-capacity trucks expanded and refrigerated carriers were introduced, truck farms spread to the cheaper lands of the West and South, shipping seasonal crops to relatively distant markets where their cultivation is limited by climate. The major truck-farming areas are in California, Texas, Florida, along the Atlantic Coastal Plain, and in the Great Lakes area. Centers for specific crops vary with the season. Among the most important truck crops are tomatoes, lettuce, melons, beets, broccoli, celery, radishes, onions, cabbage, and strawberries. OR Write a note on Industrial Park. ANSWER: A successful industrial park business, even if only as a part- time operation or just starting as a home based business needs to map out its course, goals, and objectives. A clearly written business plan is the industry standard and the first step in starting an industrial park business. It’s not just important for business owners but it is something potential lenders such as banks, investors, and other partners want to see. What your business plan contains must help those reading it understands what your idea is all about and how it will make money. viii. List the main iron ore reserves of North America. ANSWER: Iron ore is the raw material found in rocks and minerals from which. metallic iron is extracted. China is the world’s largest producer of iron-ore producing 900 million metric tonnes of iron ore every year. It is also by far the largest consumer and importer of the same. Australia ranks second in the production of iron-ore followed by Brazil, India, Russia, Ukraine, South Africa, United States, Canada, Iran, Sweden, Kazakhstan, Venezuela, Mexico, and Mauritania. OR Why is’ Dairy Farming considered highly capital intensive? i. 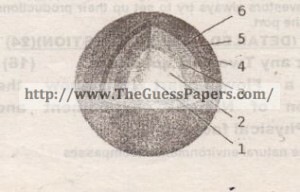 An activity of the temperate latitude based on the utilization of permanent pastures. ii. A most advanced efficient and capital-intensive type of farming. iii. The business of keeping animals is labour intensive and offers great scope for intensive employment of labour than any other agricultural systems. iv. The productivity is very high in dairy farming regions. v. High degree of commercialization is the rule in all regions of dairy farming. A scientifically run dairy farm yields high returns. A greater emphasis is placed on the improvement of herds. vi. Dairy farms produce milk and milk related products. Some dairy farms specialize in products other than milk. vii. Dairy farmers usually do not sell their products directly to consumers. Instead, they generally sell milk to wholesalers, who distribute it in turn to retailers. Retailers then sell milk to consumers in shops or at home. Answer any four part questions. i. Why are the deltaic plains not suitable for agriculture? ANSWER: A deltaic plain consists of active or abandoned deltas, which are either overlapping or contiguous to one another. A delta is a relatively flat area at the mouth of a river or a river system in which sediment load is deposited and distributed. That portion of a drainage basin within which the sediment load is traded or carried in transit is referred to as an alluvial valley. The alluvial valley merges downstream with the deltaic plain, often where the main stream channel branches, or has branched in the past, into multiple distributaries. The deltaic plain does not necessarily begin downstream from its most upstream distributary’s or its most upstream abandoned distributary’s. ii. “Cotton is the. most important cash crop of Pakistan”. Comment. ANSWER: Cotton is the most important cash crop of Pakistan. It is considered very important for the economic progress of Pakistan. Textile Industry is very important industry of Pakistan which wholly depends on the growth of cotton. It is also known as silver fiber. Two kinds of cotton are cultivated in Pakistan; one is called local cotton, its fiber is small; the other cotton has a longer fiber, it is called ‘American Cotton’. American cotton is considered to be a superior kind because of its longer fiber. This kind of cotton is used for manufacturing of cotton yarn and superior quality of cloth. Nearly 33% of foreign exchange is obtained by exporting cotton. Major part of cotton is cultivated in the Province of Punjab and Sindh. Pakistan is ranked at number 4th position in largest cotton producing countries. Pakistan is producing about 11 million bales (each 170 kg) in a year. iii. Are there any negative aspects of dams?.Justify your answer. 1. In flat basins large dams cause flooding of large tracts of land, destroying local animals and habitats. 2. People have to be displaced causing change in life style and customs, even causing emotional scarring. About 40 to 80 million people have been displaced physically by dams worldwide. 3. Large amounts of plant life are submerged and decay anaerobically (in the absence of oxygen) generating greenhouse gases like methane. It is- estimated that a hydroelectric power plant produces 3.5 times the amount of greenhouse gases as a thermal power plant burning fossil fuels. 4. The migratory pattern of river animals like salmon and trout are affected. 5. Dams restrict sediments that are responsible for the fertile lands downstream. Farmers use chemical fertilizers and pesticides to compensate for the loss in productivity. 6. Salt water intrusion into the deltas means that the saline water cannot be used for irrigation. 7. Large dams are breeding grounds for mosquitoes and cause the spread of disease. 8. Farmers downstream who used to wait for the flooding of the fields to plant their seeds are affected. 9. Dams serve as a heat sink, and the water is hotter than the normal river water. This warm water when released into the river downstream can affect animal life. 10. Peak power operations can change the water level thirty to forty feet in one day and can kill the animals staying at the shorelines. 11. Around 400,000 km2 of land worldwide has been submerged due to the construction of dams. iv. Discuss the measures employed for improving occupational structure in Pakistan. ANSWER: Occupational choice plays an important role in determining earnings and success in the labour market. In the social structure of Pakistan, an occupation reflects the socioeconomic status of the individual. In this backdrop, the paper looks at the occupational structure and analyses how different characteristics help individuals to access jobs of their choice. 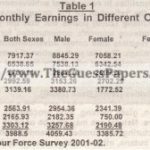 The main issue discussed in the paper is how men and women have a different occupation distribution. Estimates are based on a multinomial log model of occupation choices for men and women, using the Pakistan Integrated Household Survey (PIHS) 2001-02 data. The empirical results show that individuals with high educational achievements choose highranking jobs. It is also noted that gender has a role in the labour market and males are sorted out in high-paying occupation. Occupational choice is influenced more by the human capital variables than by the individual characteristics. Among human capital variables, education has the strongest impact in the selection of an occupation of choice. v. Show any four of the following in the given map of Pak. vi. Mention any four agricultural problems of Pakistan. ANSWER: Firstly, No mechanism has been adopted to eradicate the soil erosion and even after harvesting nothing is done to improve or restore the soil energy. Secondly, water wastage is very high in our country. The archaic method of flood irrigation is still in practice in whole of the country which wastes almost 50 to 60 percent of water. Thirdly, owing did methods of cultivation and harvesting, Pakistan has low yield per acre that means the average crop in Pakistan is just 1/4th of that of advance states. Whereas Nepal, India and Bangladesh are using modern scientific methods to increase their yield per acre. For this purpose, these states are using modern machines to improve their yield. Fourthly, the small farmers are increasing in our country as the lands are dividing generation by generation. So, there are large number of farmers who own only 4 acres of land. These small farmers do not get credit facilities to purchase seeds, pesticides, fertilizers etc. OR Mention the rail and road links of Pakistan to the neighboring countries. The Pakistan Government is developing a National Trade Corridor (NTC) to create transport links with neighboring countries in order to boost trade and people-to people contacts in the region. • The NTC will connect Pakistan with China, Iran, Central Asian Republics, Turkey, Middle East and India. • Federal Minister Chaudhary Nisar Ali Khan said that the corridor would be completed by 2010. Khan also said that the newly constructed Makran Coastal Highway had immense-importance not only for transit trade for the Central’ Asian Republics but also for other neighboring countries. vii. Compare the M·Series and N·Series highways in Pakistan. ANSWER: The National Highways of Pakistan are a network of highways in Pakistan that are distinct from its motorways. The main difference between the two is that, unlike motorways, national highways are not controlled access or limited access. As in the case of motorways, Pakistan’s National Highway Authority owns, maintains and operates all national highways. Pakistan’s National Highways include famous highways such as the Grand Trunk Road, the Indus Highway, the Karakoram Highway and the Makran Coastal Highway.All National Highways in Pakistan are pre-fixed with the letter ‘N’ (for “National”) followed by the unique numerical designation of the specific highway (with a hyphen in the middle), e.g. “N-S”. 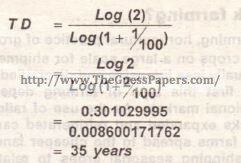 Each numerical designation is separated by five numerals, i.e. N-S,N-10, N-15,etc. 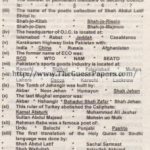 National Highways are also distinct from Pakistan’s ‘Strategic Highways’, which begin with the prefix ‘S’ and are owned, controlled and operated by Pak.’s Ministry of Defense. OR Discuss the role of KPT in the management of Water transport in Pakistan. (KPT) is a Pakistan Federal government agency that oversees the operations of Karachi .Port at Karachi, Sindh, Pakistan. Sea Port plays a vital role in International Maritime Trade. Efficient Port attracts . more business which in turns generates revenue and strengthens economy of the country. Port is more a service industry not only for the nationbut for international community as well. The effects of its working are not limited and are realized beyond the country. Transportation cost contributes a valuable part in determining the prlce of goods either in domestic or in international market. Transportation through sea is mainly dominated by ports. The economists of the ocean carriers say that ships earn in sea and loose in the port. It is the port which makes the carrier cost efficient with its courteous reception and timely dispatch. Longer is the waiting time lesser is the efficiency of the port. The productivity of the port is measured with per ton cost of cargo handling. This cost is ultimately added to the price of goods and finally borne by the common consumer. Karachi Port being a natural harbor is a gift of God. Its value can be better assessed if compared with landlocked countries which do not have access to the sea. The investors always try to set up their productions units nearer to the port. Answer any Two part questions. i. Draw a Flow chart to show the classification of Natural environment and explain its Physical factors. • vegetation, microorganisms, soil, rocks, atmosphere, and natural phenomena that occur within their boundaries. • Universal natural resources and physical phenomena that lack clear-cut boundaries, such as air, water, and climate, as well as energy, radiation, electric charge, and magnetism, not originating from .civilized human activity. The natural environment is contrasted with the built environment, which comprises the areas and components .that are strongly influenced by humans belonging to a civilized (i.e. hierarchically structured, agricultural, densely pop lated, complexly systematized) society. A geographical area is regarded as a natural environment. It is difficult to find absolutely neturet environments, and it is common that the naturalness varies in a continuum, from ideally 100% natural in one extreme to 0% natural in the other. More precisely, we can consider the different aspects or components of an environment, and see that their degree of naturalness is not uniform. If, for instance, we take agricultural field, and -consider the mineralogical composition and the structure of its soil, we will find that whereas the first is quite similar to that of an undisturbed forest soil, the structure is quite different. Natural environment is often used as a synonym for habitat. For instance, when we say that the natural environment of giraffes is the savanna. Earth science generally recognizes 4 spheres, the lithosphere, the hydrosphere, the atmosphere, and the biosphere as correspondent to rocks, water, air, and life. Some scientists include, as part of the spheres of the Earth, the cry sphere (corresponding to ice) as a distinct portion of the hydrosphere, as well as thepedosphere (corresponding to soil) as an active and intermixed sphere. Earth science (also known as geoscience, the geosciences or the Earth Sciences), is an all-embracing term for the sciences related to the planet Earth. There are 4 major disciplines in earth sciences, namely geography, geology. geophysics and geodesy. These major Disciplines use physics, chemistry, biology, chronology and mathematics to build a qualitative and quantitative understanding of the principal areas or spheres of the Earth. (a) Temperature required of Wheat crop in early stages of growth. ANSWER: Weather that is comfortable for humans is also good for wheat. Wheat needs 12 “to 15 inches (31 to 38 centimeters) of water to produce a good crop. It grows best when temperatures are warm, from 700 to 750 F (210 to 240 C), but not too hot. Wheat also needs a lot of sunshine, especially when the grains are filling. Areas with low humidity are better since many wheat diseases thrive in damp weather. (b) Direct Method for rice field preparation. broadcast or drilled into dry soil and the seed is then covered. But both methods result in weeds starting growth at the same time as the rice and therefore competing from an early stage. Therefore, research has focused on matching the sowing of early maturing varieties with correct chemical herbicide use. Where successful, this provides farmers a bonus; it permits the planting of a post-rice crop in the residual moisture, increasing total crop yields and overall farm productivity. (c) Commercial use of Sugar cane. ANSWER: Sugarcane belongs to the grass family, an economically important seed plant family that includes maize, wheat, rice, and sorghum and many forage crops. The main product of sugarcane is sucrose, which accumulates in the stalk internodes. Sucrose, extracted and purified in specialized mill factories, is used as raw material in human food industries or is fermented to produce ethanol. Ethanol is produced on a large scale by the Brazilian sugarcane industry. ANSWER: Basically the rubber plant requirements against the need to support the growth of climatic conditions and soil conditions as the growth media. Climate Areas suitable for rubber is in the zone between 150 South Latitude 150 North latitude. Outside the recommended location, the growth of rubber plants is not optimal. Rubber plants require optimum. rainfall between 2500 mm to 4000 mm I year, with rainy days ranges from 100 sd. 150 HH / year. However, if the frequent rain in the morning, the production will be reduced. .
ANSWER: Tea is a diverse product with grades and types ranging from mass-market teas used in teabags to high-quality specialty leaf and organic teas. Market prices vary widely, not just according to grade and type, but also depending on the production methods used and the geographical origin. While market prices are currently high, producer costs have risen significantly due to significant increases in input costs (fuel, fertilizer, transport. etc.) linked to the price of oil and adverse currency movement versus the dollar, as tea is often traded in US dollars. Tea producer crops. and yields are also a concern as weather patterns become increasingly unpredictable with drought conditions reducing production in recent years. A shift in market demand has affected income as well. In leading Fair-trace consumer markets, such as the UK, there has been a shift toward cheaper African teas and away from tea sourced in India and Sri Lanka along with growth of green teas from China and Vietnam. (f) Importance of Cheap labour for cotton crop. iii. Write a note on the sub-divisions of Tertiary Activities. (a) Specialize Sector; trade, transport, banking and finance and telecommunication and media. (b) All other services; Misc. services. This term is applied to the most important part of the service sector. In this category the professionals, high qualified people, specialized technical executives and managers are included. All Quaternary activities occur in office building environments. There are distinguished to recognize high level decision making roles in all types of large organizations, public sector and private sector. It includes owners, chief executives, officer and top managements. These activities occur in large urban centers e.g. New York, Paris, London and Tokyo. iv. Write about the important factors responsible for the Location of Manufacturing Industries. i. Write a note on Upper Indus Plain. Draw Sketches in support of your answer, where necessary. ANSWER: The word Indus is derived from Sanskrit word ‘Sindhu’ which means ocean. There is a vast plain located on the east of Kirthar and Sulaiman mountain ranges and south of Salt range extending up to the Arabian Sea. River Indus and its tributaries irrigates this area including River Sutlej, Ravi, Jehlum and Chenab. These tributaries meet the great Indus at Mithan Kot and on its south lies the Lower Indus Plain and on the north is the Upper Indus plain. The upper portion of River Indus is very fertile despite the fact that there is few rainfalls in this area, mainly because it comprises of the soil brouth by the rivers. Long chain of canals are spread in this area which help produce a good quantity of crops. This canal system is one of a kind in the world. There are few hills of low heights seen around Chiniot, Sangla and Sarghoda. ii. With the help of given graph, describe Urbanization in Pakistan. ANSWER: Urbanization is not just a side effect of economic growth; it- is an integral part of the process, according to the World Bank. With the robust economic growth averaging 7 percent and availability of millions of new jobs created between 2000 and 2008, there has been increased rural to urban migration in Pakistan to fill the jobs in growing manufacturing and service sectors. The level of urbanization in Pakistan is now the highest in South Asia, and its urban population is likely to equal its rural population by 2030, according to a report titled ‘Life in the City: Pakistan in Focus, released by the United Nations Population Fund. Pakistan ranks 163 and India at 174 on a list of over 200 countries compiled by Nation master. Pakistan has and continues to urbanize at a faster pace than India. From 1975-1995, Pakistan grew 10% from 25% to 35% urbanized, while India grew 6% from 20% to 26%. From 1995-2025, the UN forecast says Pakistan urbanizing from 35% to 60%, while India’s forecast is 26% to 45%. For this year, a little over 40% of Pakistan’s population lives in the cities. The urban population now contributes about three quarters of Pakistan’s gross domestic product and almost all of the government revenue. The industrial sector contributes over 27% of the GDP, higher than the 19% contributed by agriculture, with services accounting for the rest of the GDP.